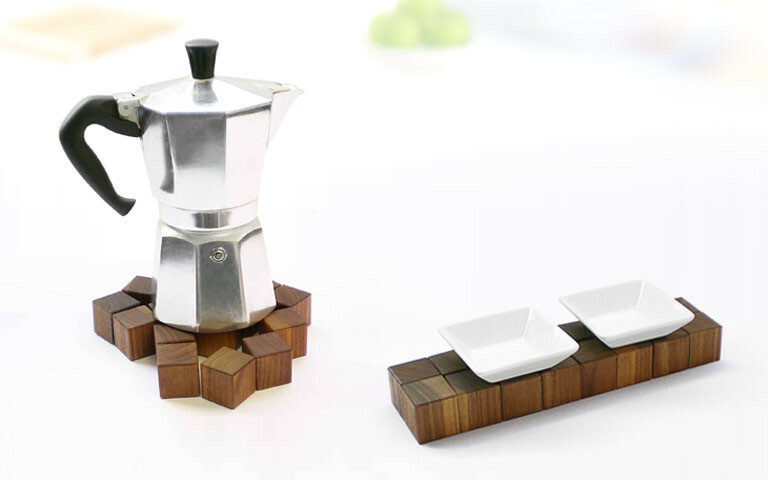 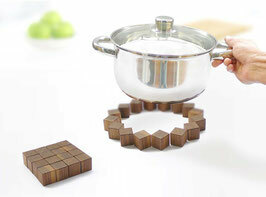 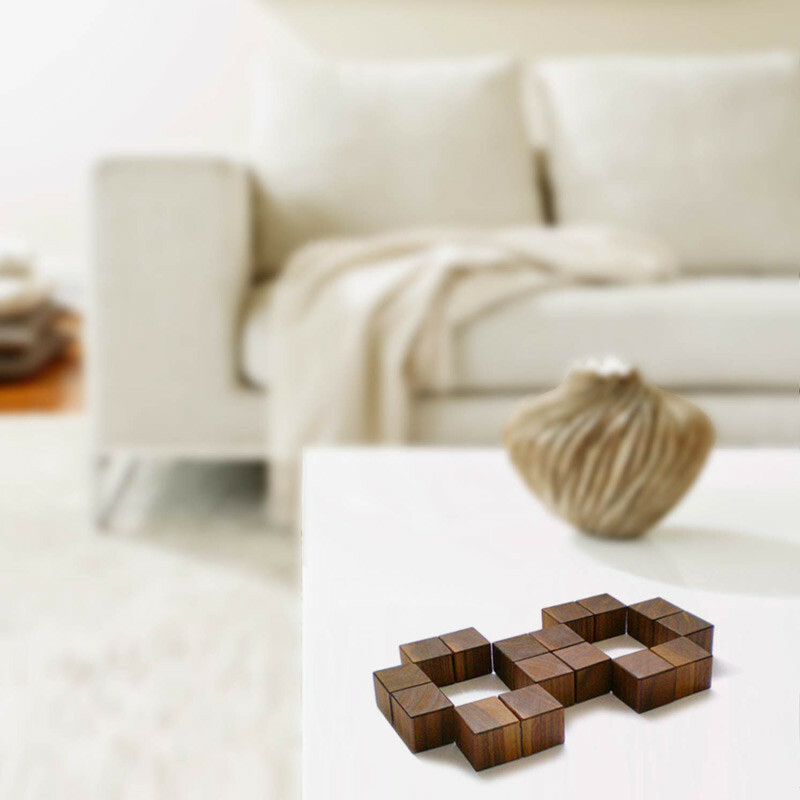 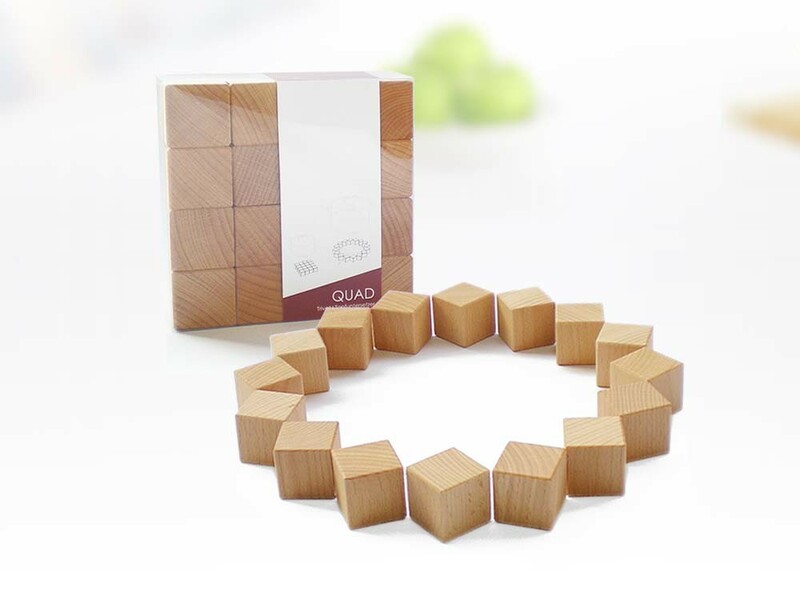 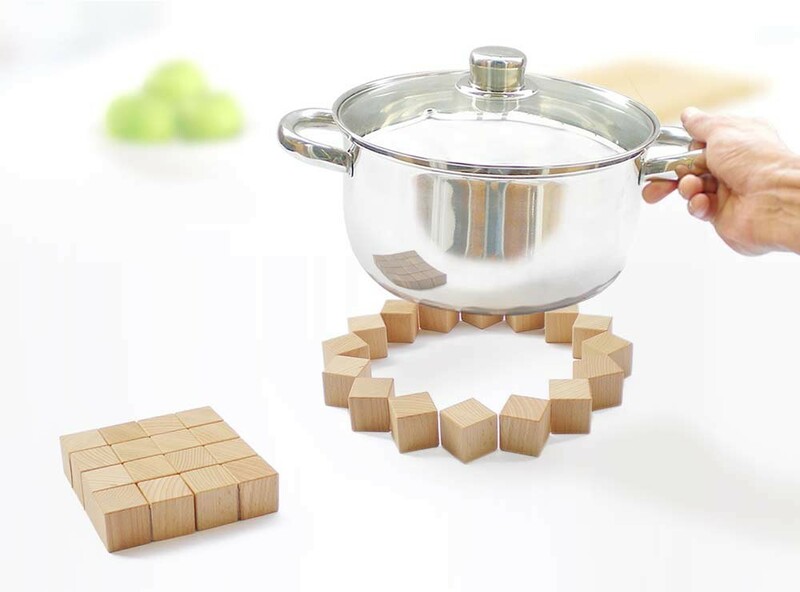 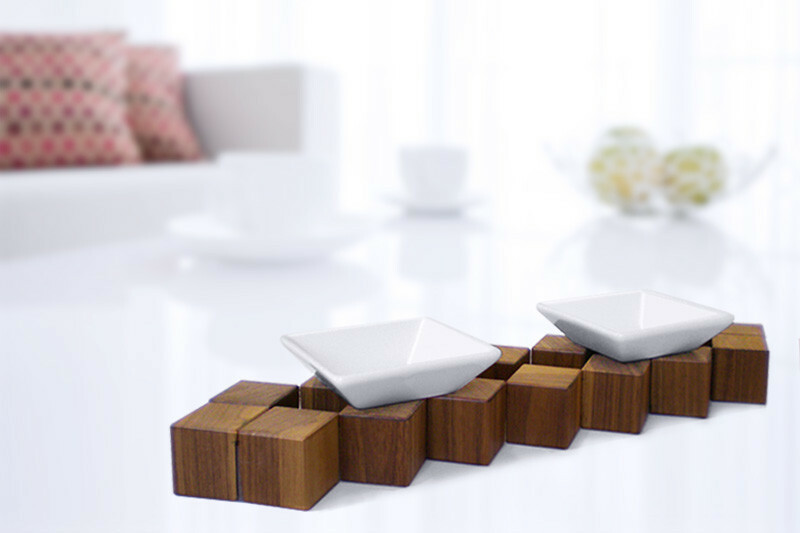 QUAD is an ingenious trivet, which changes its shape and size depending on the size of surface you need. 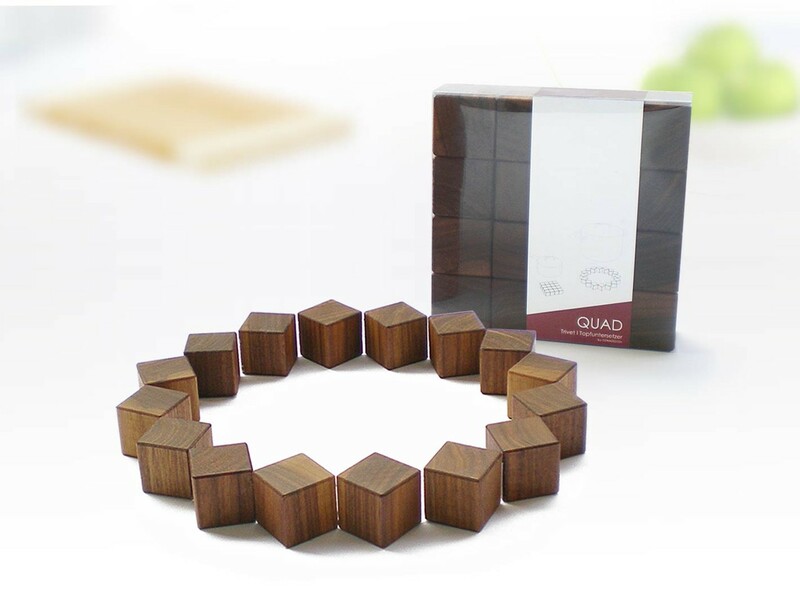 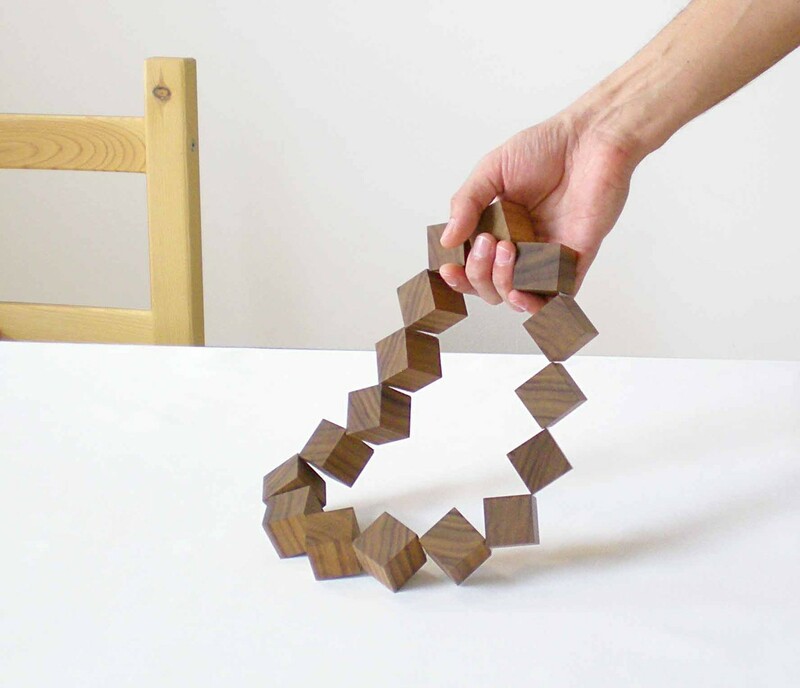 The 16 wooden cubes can be aligned freely while remaining connected to each other – as if by magic. 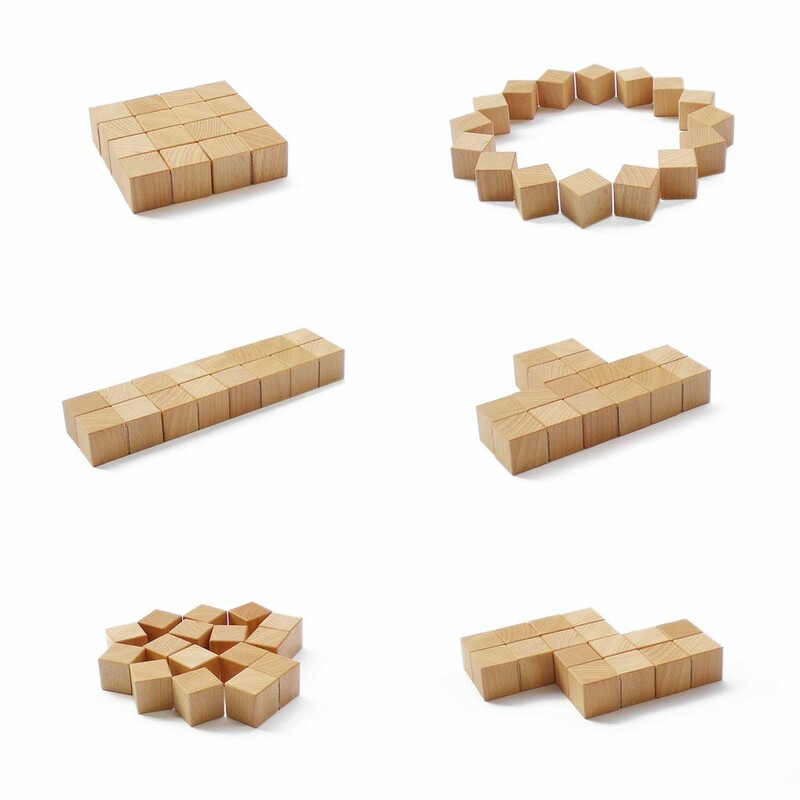 Discover the seemingly endless variety of configurations ranging from basic geometries to more chaotic and decorative shapes.